2019 Clubs start in March. Te Arawa and Southern club nights commence 4th and 6th March. Southern Club - Wednesday 7.00pm to 10.00pm. Visitors welcome at $12.00 per evening on Monday's - payable at the Pro-shop on entering the facility. Visitors on Wednesday evening welcome at $15.00 per evening. Payable at the Pro-Shop. Te Arawa on Monday evenings from 7.00pm and Southern Club on Wednesday evenings from 7.00pm. Further information available. Please click here. Wellington Club operates on Thursday evenings in Winter only. First week in March is the start of the season for returning 2018 members only. After that all Welcome from 14 March 2019 onwards. Casual fees $15.00 payable directly to the club management at the rear of courts 2 and 3. Cash please as there is no eftpos and Pro-Shop has a strict "NO CASH OUT" policy. 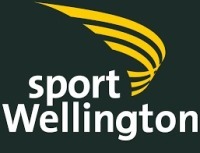 For further information about Wellington club please click here.